Springfield bed and breakfast travel guide for romantic, historic and adventure b&b's. 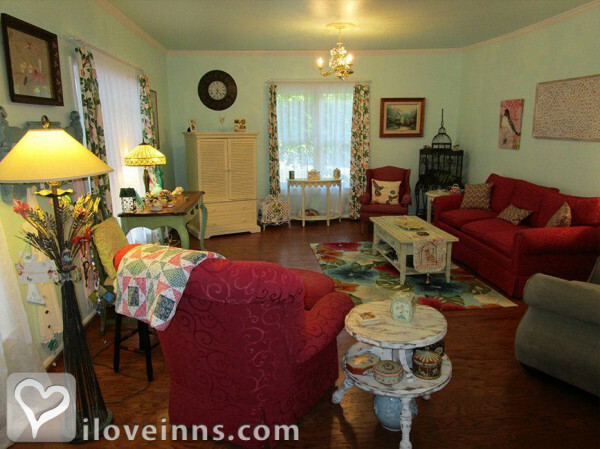 Browse through the iLoveInns.com database of Springfield, Missouri bed and breakfasts and country inns to find detailed listings that include room rates, special deals and area activities. You can click on the 'check rates and availability' button to contact the innkeeper. Being the third largest city in the state of Missouri, Springfield actually has several fascinating places of interest. Those who are avid outdoorsmen would enjoy shopping for the latest gear and equipment at Bass Pro Shops Outdoor World. This shop that specializes in camping, mountaineering, and trekking gear boasts of selling 14,000 items. Almost four miles away from the city of Springfield is Dickerson Park Zoo, and Seven miles away from the city center are the Fantastic Caverns with its spectacular caves and other geologic formations. The 1984 Arcade is an amusement center which is highly favored by the city's teens. In the evenings, one of the best destinations would be the Snorty Horse Saloon, before retiring to Springfield bed and breakfast accommodations.